From dry martinis to apple martinis and so many other fantastic options, these NY martini bars are sure to satisfy your cravings. Perfect for a date night or a girls' night out, these bars will provide all the fun you need with a classy and elegant feel. An underground speakeasy styled bar, Pravda is one of the best martini bars to be found in New York. Pravda prides itself on having the best cocktails, specifically martinis. When you are here you will be able to chow down on Russian inspired food. With 70 different vodkas including 10 house infused flavored vodkas, Pravda is the perfect location for an intimate dinner or a fun night out with friends. Come and try something new. When you step into Pravda you will have the opportunity to experience new food, new drinks, and a new culture. Check out their website today to see the menu and to make reservations. 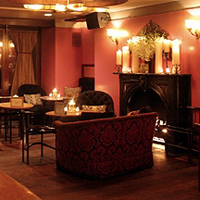 Come and relax at Cibar, a martini bar in New York that is located inside of a townhouse. Sit in front of the fireplace or in the bamboo garden while looking over the extensive martini menu and nibbling on some appetizers. Cibar has a very relaxed atmosphere which is complimented by the DJs that play classics like the rolling stones at night. For a relaxing yet elegant night out, Cibar is where you need to be. Cibar hosts private events and is dedicated to making every event unique and fun. For more information, visit their website today. Don't miss out on the fun, food, and martinis that are waiting for you at Cibar! One of the best martini bars to be found in New York, Simone martini bar is the perfect blend of a bar and intimate lounge. With its Chinese decor and great music selection, Simone is great for any occasion. 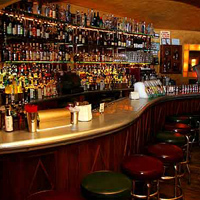 Simone offers a full bar as well as an extensive martini menu. Patio seating is available where you will be surrounded by beautiful plants. Simone martini bar has been the location for many photo shoots as well as film and TV shoots. This is the perfect atmosphere for a relaxing night. Try some new martinis while lounging back. 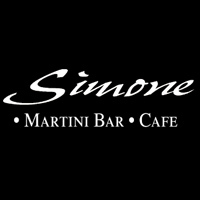 Simone martini bar is open 7 days a week. Enjoy great food and dessert while sipping on some drinks. Take a break from the bright lights of the city and enjoy a relaxing evening at this NY martini bar. At Stir you will find cube shaped furniture all of which are plush and softened with pillows. The tables are lit by candles and the decor at the bar is very small. 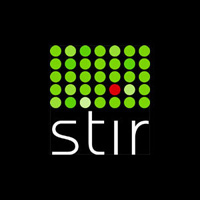 Stir is a very simple bar. It provides a comfortable environment for relaxing and having a good time. The drink menu is filled with martinis that have one word names such as lucky and passion. On the weekends a DJ brings the party to life. When you come to Stir you will find unique drinks and a unique atmosphere. This is the only bar of its kind in the area. Come to Stir and see for yourself why it is one of New York's best martini bars. Enjoy modern American cuisine as you sit at the bar or at one of the tables while watching your favorite sports team play on one of the TV screens above the bar at Vintage. 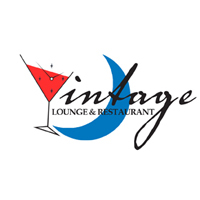 Vintage is one of the best martini bars in NY. Order one of the signature martinis or a classic one. Your taste buds will be pleased with whatever you decide. Don't like martinis? Don't worry, Vintage also has a complete list of beer and wine. A different drink special is featured every day. This is a great environment to unwind at. Try some new martinis and enjoy a relaxing meal. A party room is available to be rented out. Check out the website to see what the specials are each day!